Garnet and her triplets. 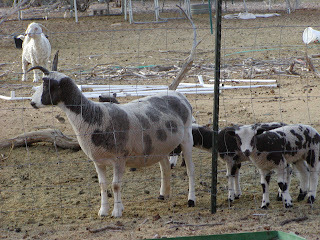 The ewe and one of the ram lambs have four horns. 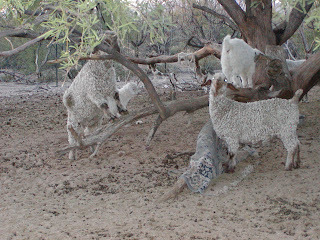 One of the ram lambs has only two. This is Classy's kid. She had the doe, walked elsewhere to lose her afterbirth and wanted nothing to do with her kid. Classy is now outside again with Agave and they have made progress. Classy stands up when she sees me coming. I periodically have to lock her head in the panel, but she no longer butts her baby away. 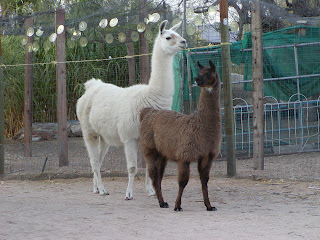 When I see Agave staying in the pen with her, I will know that I can let Classy out. Seems to take about 3 weeks for the teenage mom syndrome to get lost. Agave is cute as can be when she runs up to greet me. 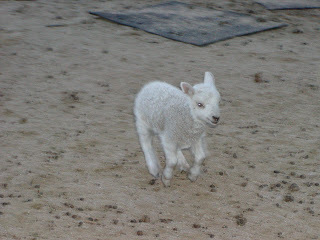 This is one of Pearl's ram lambs. 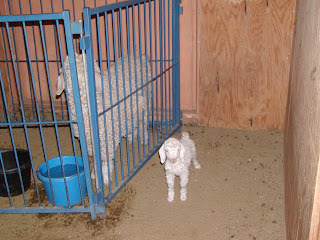 He will probably get castrated, since he is a cross and I don't want to use them for breeding. I caught him in mid air! Marc bought rose bushes for the back yard. One of them is having a hard time in the heat. 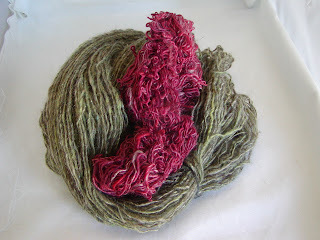 I decided that the green yarn really looked like the branches and leaves, so I carded up some reds to create a rose. I have started designing another scarf and I am using these two skeins. 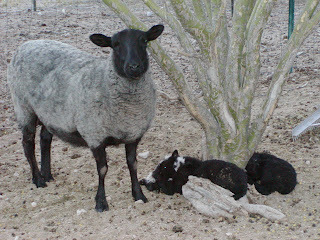 Onyx and her three lambs. I have noticed that, when there are three babies, one is always by itself and the other two look like one. 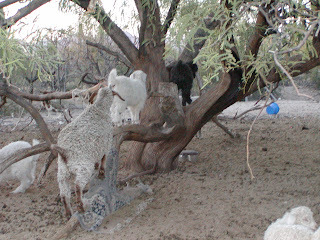 Goats trying to climb the tree. The kids have it easy. 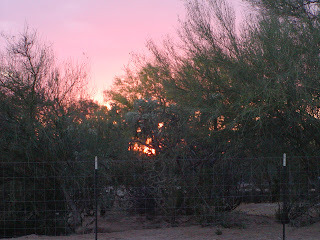 One of the yearlings was trying, but just could not make it. She had to settle for watching the others. Oreo went to her new home at Chris' this past weekend. I think Emmy missed her a little, but she did not hum, so I don't really know. This is what happens when I am a few minutes late coming out to feed. 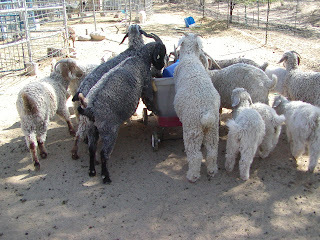 It is a mob scene, until I have food in most of the buckets, wagons, bowls, and feeders. Have to spread them out, so they won't fight.